Returning from our West Coast summer road trip, we decided to get some kicks on Historic Route 66 while driving back to Phoenix. (Therefore, this narration differs from most others as our drive took us west to east.) We wanted to sample segments that veered away from Interstate-40 and into a different world. Heading on I-40 east in California, Route 66 closely parallels the interstate almost as a frontage road. 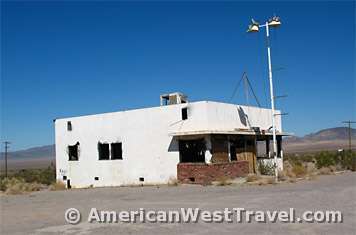 At the town of Ludlow, fifty miles east of Barstow, the historic route veers well away from the interstate for about 75 miles before returning east of the town of Essex. This route through the heart of the Mojave Desert is highly recommended for those who like long, lonely stretches of road broken up by the occasional ghost town! On some maps this segment is marked as the “National Trails Highway” as well as “Historic Route 66”. 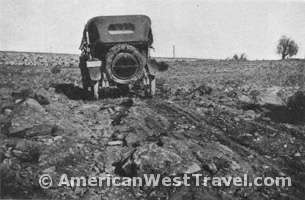 The National Trails Highway was actually the predecessor to Route 66, dating back to as early as 1914. It was an early attempt at a national highway. Through the Southwest, its route followed the railroad, for many years the famous Atchison, Topeka, and Santa Fe line (now called BNSF), with the idea of connecting the towns that once serviced the railroad as water stops (for the old steam locomotives). Route 66 was built largely along the same route and dates from the 1920’s. The two-lane highway ultimately connected Chicago and Los Angeles and was fully paved by 1938. The construction of Interstate-40 did not particularly consider the railroad line or the towns along the old route. When I-40 opened through the Mojave Desert in 1973, the long segment of Route 66 between Ludlow and Essex was bypassed many miles from the new route. Traffic had little reason to come this way, through a desert blazing hot much of the year, when the interstate could take you from Needles to Barstow in two hours. Without any traffic, the local towns and businesses just dried up. Today there is little left besides ruins and fenced-up buildings. 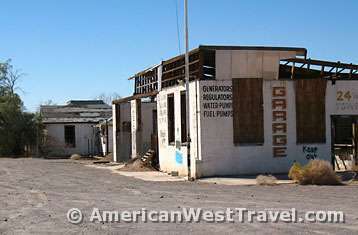 We leave I-40 at Ludlow and head off into the desert on Route 66 towards Amboy, about 25 miles distant. After the handful of ruins around Ludlow there are no man-made structures besides the nearby railroad line. There is no road traffic beyond an occasional car. The road itself has not been maintained in a while, and there are some rough spots. The Town of Ludlow started as a water stop for the Atlantic and Pacific Railroad in 1883. Ore was found in the nearby hills, leading to a boom. By the 1940s, local mining and railway activity had ceased and the town survived supplying the needs of travellers on the National Trails Road, later to become the legendary Route 66 in California. Ludlow provided a Motor Court with bungalow cabins, the Ludlow Cafe, a gasoline-service garage, and shade. They operated through the late 1960s. Soon the Amboy Crater and Lava Field becomes visible in the distance. The desert floor becomes covered with black rock which is the lava flow from an ancient eruption. 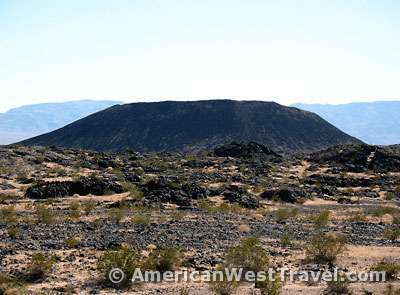 The extinct cinder cone volcanic crater is about 6,000 years old, and was thought to have last erupted about 500 years ago. 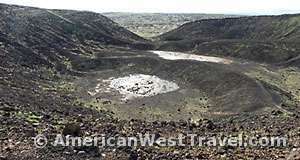 The crater was a popular stop for travelers during the heyday of Route 66. It was designated a National Natural Landmark in 1973. There is a parking area off the main road and a view point on a slight ridge. The site of Bagdad town is supposed to be in this area as well. We were unable to spot the “Bagdad” sign near the railroad tracks, which is all that remains. 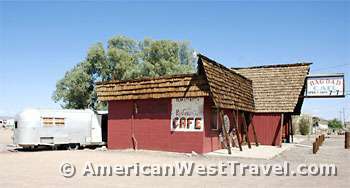 The town got some notoriety from the cult movie, “Bagdad Cafe”. 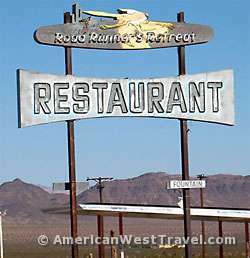 However since there was no town and no cafe, a restaurant in the town of Newberry Springs, on Route 66 west of Ludlow, was used in the movie.